Established in 2010, Tiger Waste has quickly developed into one of Canberra’s most recognised and trusted waste management companies. Family owned and operated, Tiger Waste has rapidly grown due to its unique and customer focused range of services, unmatched customer service, on-going investment in equipment, bin management software and uncompromising safety and quality standards. From its humble beginnings, Tiger Waste has grown from one small truck to an increasing fleet of new and modern vehicles, all colourfully wrapped in its trademark tiger strips. 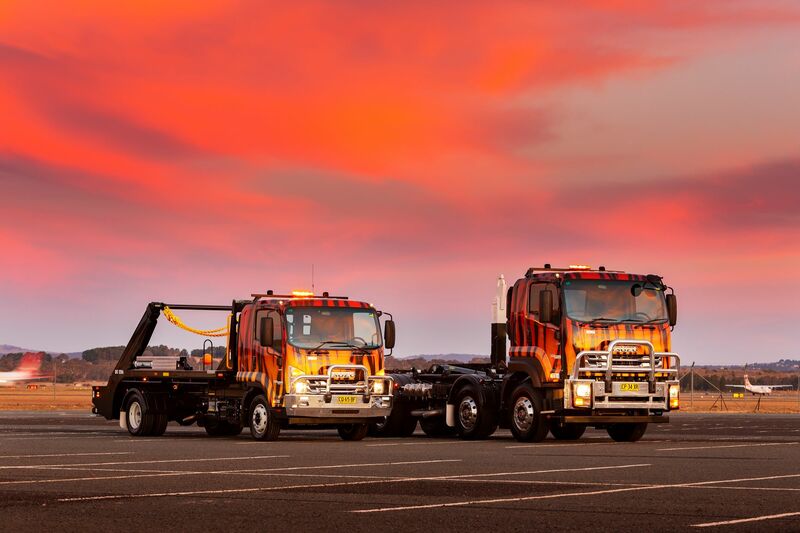 Tiger Waste has established strong, functional and long-term relationships with some of Canberra most renowned building companies helping to manage the transport and disposal of waste from wide a range of local and regional projects. Tiger Waste can supply a full range of skip bins, hook lift bins and plastic garbage bins to meet the waste requirements for a small residential spring clean through to Canberra’s largest building projects. With a true 6 day service, online bookings and same day servicing Tiger Waste is Canberra’s preferred waste management company.